The new state-sponsored report, “Environmental Impact and Risk Assessment for the Proposed Barrage across River Narmada near Bhadbhut, Dist. Bharuch”, by Government of India consultants National Environmental Engineering Research Institute (NEERI), has insisted on a “study of catastrophic flooding that may occur in the event of barrage … failure is of great concern and importance because of the risk of life and property in the down stream of the structure.” The report has been prepared for discussion at the environmental pubic hearing on the Rs 4,000 crore Bharbhut project, to take place on July 19 near Bharbhut. The study recommends that to overcome the erosion in the downstream estuary will have to be appropriately trimmed and the channel bed will have to be properly graded to impart non-silting velocity. “By adopting this measure, estuary water will remain confined within the banks and flow smoothly without undue sedimentation”, the report states. 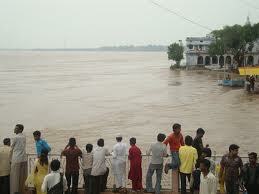 Pointing towards yet another risk, the report points out, “Narmada river flood is the most significant risk”. It says, “At the highest flood level of 8.31 metres observed at Bhadbhut in 1970, the maximum flood discharge of 27 lalj cusecs was estimated, which caused full to partial flooding in low lying areas of 17 villages on the left bank of the river. According to present estimate, the total flood discharge at the Bhadbhut barrage is considered as 1,02,364 cubic metres per second or cumecs, or 36.15 lakh cubic feet per second (cusecs). After barrage construction, “because of the flood discharge of 36.15 lakh cusecs and incidental afflux, the flood can be anticipated to cause damage in the left bank areas”.